Can't pass test - Error? 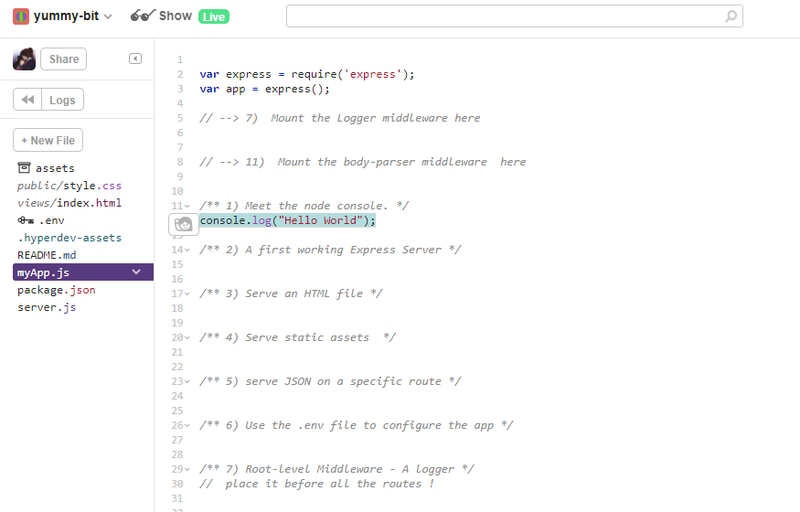 I am trying to pass the lesson “Basic Node and Express - Meet the Node console” in the Basic Node and Express section, but I can’t pass the test. After calling console log in the server.js “Hello World” prompts, but the test refuses to pass (there isn’t even an error that pops when the test runs). hi, try to write the code in myApp.js as the image showed, I used this way to pass the test. Yeah… Thanks for this. 2 night stuck because i just thought was the same link.